Unnecessary negativity is a blight, especially for writers. It can poison the mind and alienate the reader; a cancerous state of mind that serves nobody. Personally, I try and avoid it whenever possible. That mentality does me no favors. 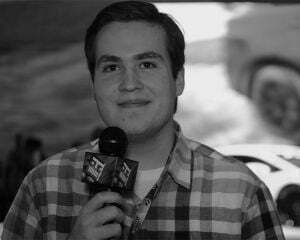 Now, keep this in mind when you read the following: what I played of Super Dungeon Bros at E3 2015 is really bad. I don't want to disparage the backbreaking work that goes into making video games, nor do I wish to crush somebody's love for their work with this preview. Ultimately, however, this does not matter. I came away from that show floor meeting room with not a shred of interest in playing any more of this interminably dull game. Without this bout of late-night second wind, I literally could not be bothered. Not even for my job here at Destructoid, which I otherwise adore. It's that bad. My apologies. 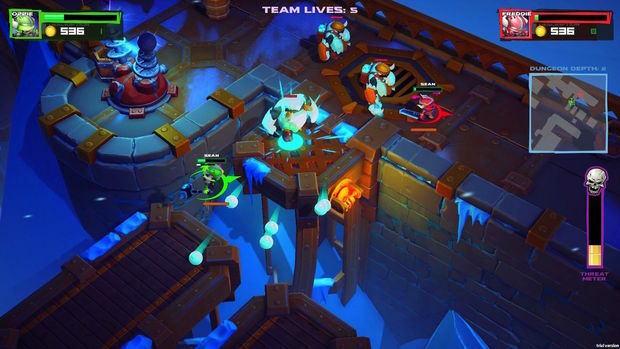 Super Dungeon Bros takes place in Rökheim. There are four rock-themed brothers: Axl, the angry one; Freddie, the one who knows no fear; Lars, the one who keeps saying 'love' ad infinitum; and Ozzie AKA Michelangelo From TMNT, But A Rock This Time. I had to look up this information on the provided fact sheet, because the 'bros' are not characters. They have a "thing" and that "thing" is drilled into your skull like a well-placed icepick at an Italian dinner party gone wrong. Here's an example: when the party encounters some enemies, Lars can say "Careful, they've lost that lovin' feeling." This is the patent pending "Bro Banter" system, controlled by the player via the d-pad. Now, imagine hearing this line dozens of times over the course of a single dungeon run. It's a joke that would be right on the edge of amusing...if told once. And that's not even the worst of it! Ozzie's catchphrase is "That's what she said," a phrase I literally have not heard in years. When this was presented to me, I had to check my calendar to make sure I had not been trapped in some kind of 2011-centric time vortex. The Bro Banter system is supposedly reactive -- you can respond to banter from your compatriots with banter of your own, but I never got it to work organically during my play session. I did manage to get a confirmation that more recorded lines would be coming. Although I wouldn't get my hopes up for that, considering the fact that somebody told somebody else that recording a line from everyone's collective middle school experience and putting it in the game was a good idea. Playing the game is on the same level as the writing; it's bad. The characters are floaty and unresponsive, it feels like you're controlling an invisible character pushing the player character around. And the combat is somehow worse. The heavy attacks and the light attacks feel almost indistinguishable. I also found myself struggling with the controls more often than I'd care to admit in mixed company. It's not that the game is complex, it's just flat -- like a can of soda left out in the sun. The enemies feel same-y, both in terms of design and attacks. What separates an ice giant from a small goblin? Not much aside from their health bars. And when the weapons feel so inefficient, that larger health bar can be a real nuisance. Some of the loot in the full game could potentially mitigate this issue, but the game still has fundamental control issues. Maybe it was that 'last day of E3 funk', but the action made me want to take a nap. 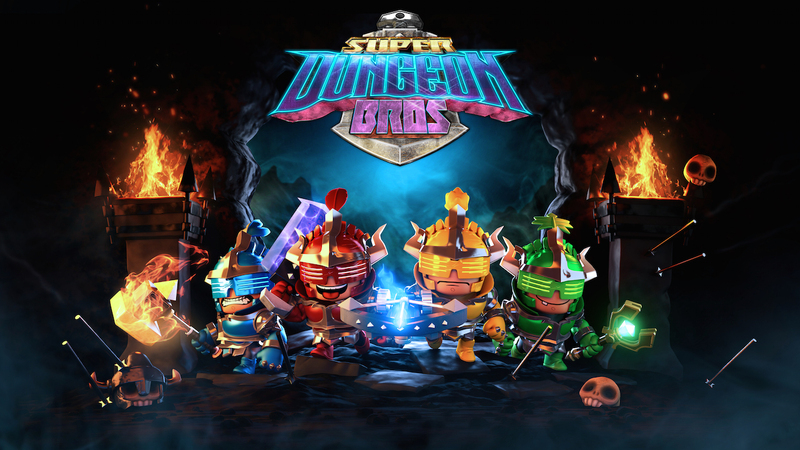 In order to complete 100% of the game, players will have to spend about 100 hours of their time with Super Dungeon Bros, which feels like a threat. The game plays terribly, and it's not amusing. Yes, it has couch co-op, but so does the excellent Diablo 3 console port. There are funnier games, there are better brawlers, there are more engaging couch multiplayer titles, there are more rewarding dungeon crawlers. 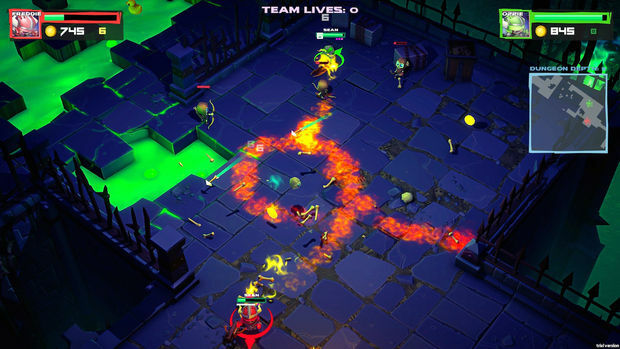 Just because Super Dungeon Bros comprises all of those elements doesn't mean any of them work.